Gosh but it’s been a heck of a long time between drinks for Mrs Russel Crowe. Danielle Spencer last released an album an incredible nine years ago. ‘White Monkey’ spurned the hit of the same name (there was a corker remix of it too) and introduced Australia to the former actress’s other love – music. 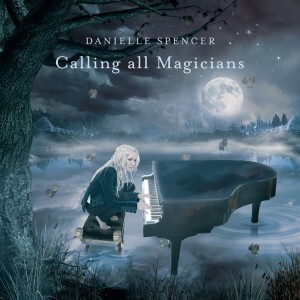 Fast forward to 2010 and Danielle is back with a brand new album (above) called ‘Calling All Magicians’. Due for release mid-way through next month, the album’s first single is ‘On Your Side’ (below) – the track serviced to radio this week. It’s another whimsical ride, that will no doubt garner further comparisons with Tori Amos, but it’s impossible not to like. We’ll whack the clip up in the coming days, but in the meantime mark April 16 in your diary – that’s when the album’s currently due at retail in Australia.